Age Restrictions: Children under 15 will not be admitted. Who is El Hablador? It’s Ross Noble. No, but who is the one they call El Hablador? I just said, it is Ross Noble. You know? Long hair, does stand up where he dances about the stage, spinning out all the nonsense in his head into a show. But what is the legend of El Hablador? I don’t think it’s a thing. It’s clearly Ross coming up with a name for his show, so he can make out like he is some sort of mysterious shadowy figure. Ok I get it. 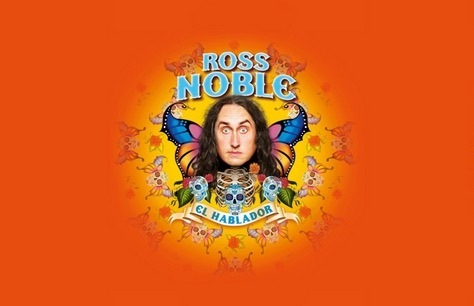 Ross Noble returns to dance around the stage spinning out all the nonsense in his head into a hilarious stand up show. At some point, he may wander into a shadowy part of the stage and look a bit shadowy. Book now to see the one they call El Hablador* *Ross is the only one that calls himself El Hablador.